The race to healthy living by starting a juicing diet is all the fashion recently. From celebrities around the world jumping aboard the juicing bandwagon to health gurus prophesying the numerous health advantages of juicing, this craze looks set to stay at least for the forseeable future. Juicing, or drinking a mix of fruit and vegetable juices, for an extended length of time has definitely taken the world by storm. 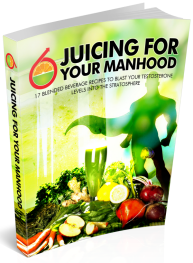 When I became interested in juicing 5 years ago it wasn’t nearly as popular. So the juicing revolution is certainly reaching a crescendo. Have a look at the juice section of your favorite grocery store. You are sure to find quite a full section of juices, several of them containing exotic fruits promising specific health advantages. Not to mention the various vegetable juices available. Important to remember though that many of these juices have been processed so much that any goodness they once has long gone. Always better to extract fresh juices! Juicing has been extolled with an abundance of advantages from detoxifying the body to losing weight, even with curing certain cancers. Beside the numerous health benefits and the nutritious punch they contain, they taste damn good:). Excuse my language! Who doesn’t want a tasty juice of a warm summers day or after a weekend binge on fatty fast foods?? While juicing has become extremely popular and you may well want to embark on a juice fast immediately, better to avail yourself of the facts before getting started. Juicing will ensure you get your 5 a day quota – Let’s face it: not may of us like to eat large amounts of greens especially. In fact it probably wouldn’t be physically possible to eat the amounts used in daily juicing particularly in their raw type. Can you imagine eating a full raw broccoli or a massive bunch of raw kale. Some of us – especially in the U.S – don’t eat fruits or vegetables at all. 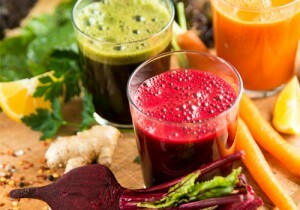 Juicing can provide the juice – including all the nutrients – of numerous fruits and veg in once small glass of juice. I personally juice 2 apples and around 10 carrots to create one 8oz glass. Fruit and veg juices contain a plentiful supply of antioxidants, vitamins and minerals – Juicing plans will supply a plentiful supply of these nutrients straight into your blood stream immediately after drinking. Juicing will give you a new lease of life – so to speak! Ideal for kids – We all know how difficult it is to get kids to eat their greens. By mixing veg with the sweetness of fruit juices(apple is idea) a worried parent can make sure their child is getting the nutrients required for growth and good health. Juicing makes you look good on the outside and in – This has to be the most exciting ‘pro’ for many of those setting out on a juice fast. Your skin, eyes and hair will begin to shine. Not to mention the pound or more in weight you can lose daily. This can be a ‘con’ though if you are already very thin. 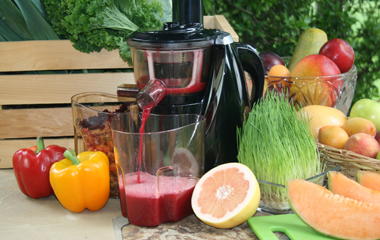 The Fiber is Missing – While a juice plan does extract most of the important nutrients it does leave behind some of the benefits from eating a whole fruit or vegetable, for example the all-important fiber that gets stripped away during juicing, along with essential nutrients that are contained in the pulp. Fruit juice diets are high in sugars and still contain a fair amount of calories – Even though fruits juices are fat-free they will curtail wight loss and are high in sugar content. If your goal is weight loss then better to limit the amount of fruit and eat more veg. The cost – It can really sting the finances while juicing, especially if you are going organic. Organic fruit and veg is much more expensive than eating the normal pest laden produce. I go to my local supermarket for fruit and veg to keep down the costs. Also you will likely pay between $75-$150 for a good quality juicer. Yes, juicing does have many vitamins and in my opinion is one of the greatest things you can do to aid abundant health, it’s important you are aware of a few of the negatives involved. This is by no means an exhaustive list and you should always consult professional counsel before embarking on a juice fast. Everyone is different and their health needs vary across the board. Make sure to consult your doctor before making any radical dietary changes.